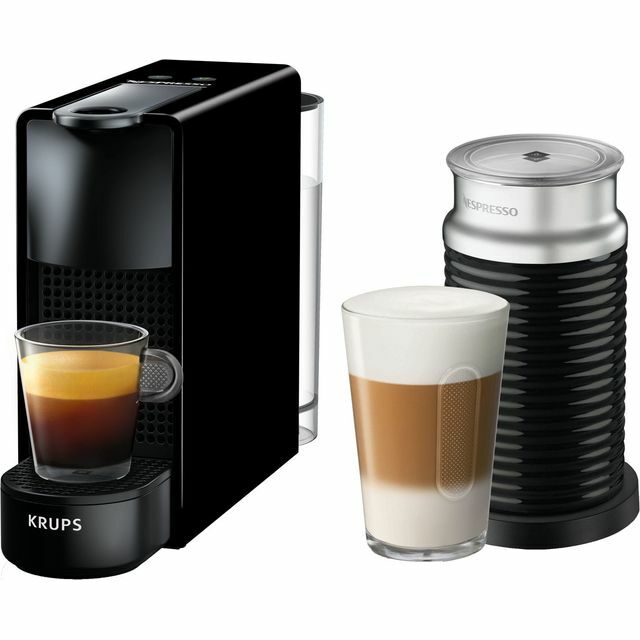 Create barista style drinks from the comfort of your home with this Nespresso® Vertuo machine by Krups. 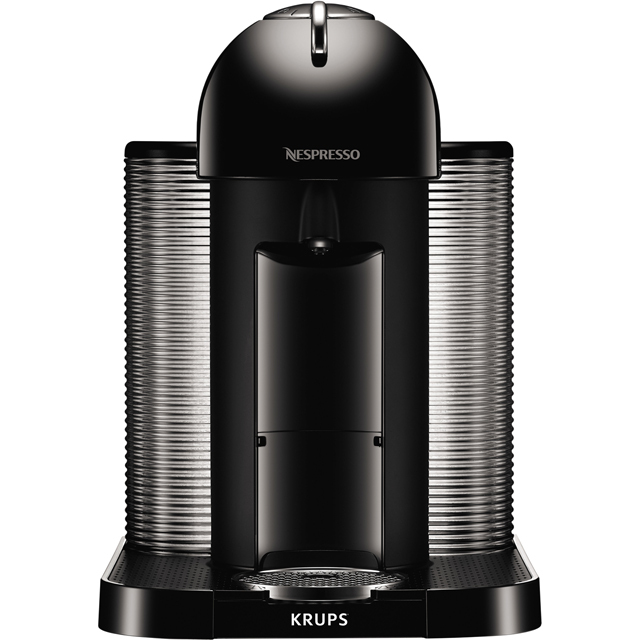 This model works with the Vertuo range of Nespresso® capsules, so you can experience a range of aromatic blends and flavours. There are four drink sizes to choose from including a 40ml Espresso, 150ml Gran Lungo, 230ml Mug and 414ml Alto, so you’ll have the perfect sized coffee for every occasion. It heats up in no time too, which means you’ll be sipping your favourite cup in seconds. The handy One Touch recipe system tailors the extraction process to match your capsule, all with a simple push of a button. Register your machine online with the Nespresso® Club to activate your warranty and gain access to exclusive member-only perks too. 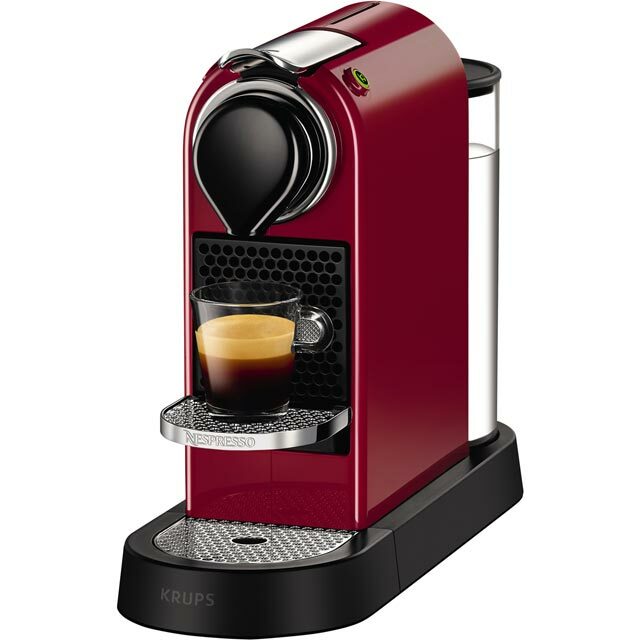 Our opinion on our latest purchase of the ‘Nespresso Vertuo ‘coffee machine is one of sheer brilliance! Perfect coffee delights in no time with no mess. A must have for any coffee buff! 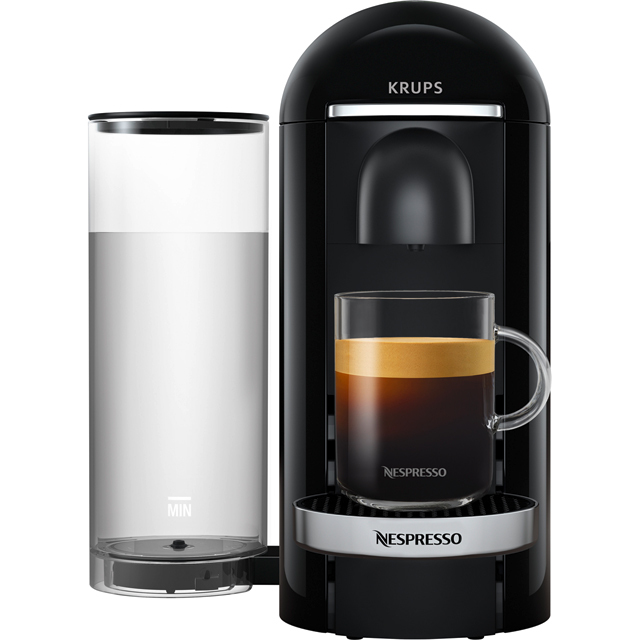 Was not sure about getting one of these but now I am very happy with it looks great fits well in the kitchen easy to use and makes great coffee not a bad selection of coffee as well since this uses different pods from the original Nespresso range "yea" I am very pleased with it. This machine produces great coffee. But and it is a big but, you cannot buy the coffee capsules in local supermarkets. The machine is not compatible with other Nespresso capsules so be warned! That said you cannot fault the quality and ease of use and importantly as I said the end product is very, very, good. In summary it is the Ferrari of coffee machines but with Ferrari running costs. I love this coffee machine. A lot easier to use than others I’ve had in the past. I’m an avid coffee drinker and this makes a mean coffee. I really like how quiet this machine is too. Fab Nespresso!! 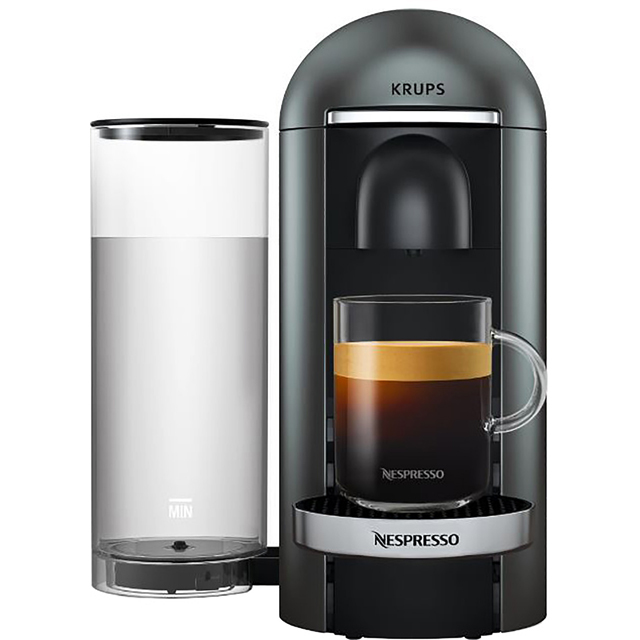 As a serious coffee lover with many machines and contraptions to my name, even ones to make coffee on a mountain, this Nespresso machine by Krups really took my eye. I was interested in how it could create such pristine and flawless coffee with crema that even high end machines cannot achieve. And boy was I blown away. Next generation technology delivers coffee time after time in the same way but to such a high standard. Just take a capsule, pop it in the machine, close the lid, pop in a cup and press the cup button. 20-30 seconds later, coffee you could only dream about it ready for you. This machine to me is all about simplicity, convenience and consistency. I can make a coffee quickly for when I am on the go, or I can make a coffee and sit and savour the moment. I think that’s why this new Vertuo system fits my needs so well. It’s as if you have a barista at home ready and waiting to make a world class cup of joe at the drop of a hat. I love the styling and the way it just flows in my kitchen, the chrome and blacks just set it off so nicely. But with its easy to use water and recycle bins it makes using it and the clean up so stress-free.